One of the major draws of starting my own business was to create a work environment where people like me could thrive. I craved an atmosphere that honored introvert tendencies (enough with the constant collaboration and open floorplans already!) and that trusted its colleagues enough to let them structure their work days in a manner that best suits them. Now I have that! At Po Campo, we each have our own space that gives us a place to focus and get work done. We have a flex schedule that allows for remote working, so you can structure your life how you want it. An unexpected outcome of this arrangement is that work doesn’t feel as urgent. We agree at the beginning of each week what needs to be done that week to keep us moving towards our business goals and then each person is responsible for completing their portion of the tasks. We check in with each other daily, but questions can take a little longer to be answered since you lack the immediacy of impromptu conversations, so you learn to be patient. Going from the fast-paced environment of a design consultancy to the more easy-going environment of Po Campo took some getting used to for me because at first I worried we were slackers. Now I appreciate that we still get as much work done (if not more), just with a lot less stress. I’ve learned that treating work with less urgency does not mean you care about it any less, it just helps you fit it in to the rest of your life better, which in many ways makes you value it more. For the first time, an actual work-life balance feels attainable. 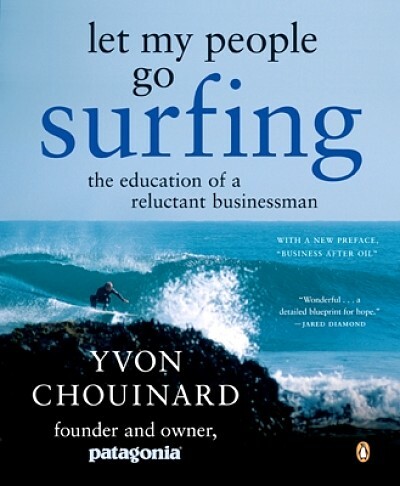 I recently read “Let My People Go Surfing: The Education of a Reluctant Businessman” by Patagonia founder Yvon Chouinard. There were many parts of the book that I found inspirational and informative, but perhaps the lesson that stuck with me most was how strongly he carried his values through to his company. Of course this includes the company’s famous environmental policies, but also how the company manages its finances, the relationships it builds with its customers, the benefits it provides its employees and on and on. Sure, some aspects of Patagonia’s culture may not be as close to his heart as others, but it is clear that he built Patagonia to be an extension of the things that he cares about through and through. Then, today I read an interview with Cadence Dubus, who owns the Pilates studio Brooklyn Strength. In explaining her commitment to creating an eco-friendly space, she says, “If you’re going so far as to open your own business, that is such a statement about your beliefs. I would hope that every aspect of that would be as close to my values as possible”. This really struck a chord with me because it acknowledged that starting a business requires a lot of courage and commitment and you don’t just do it willy nilly. But, strangely, I never thought about how the business you start is an automatic reflection of yourself. Why did this seemingly obvious thing never occur to me? Maybe because the start-ups you read about nowadays are high-growth tech companies intended to be sold as quick as possible, thus having a fingerprint of the founder is not necessary, if not undesirable. Or maybe it is because I always pictured Po Campo living on beyond my involvement, in which case I would not want the whole operation to lose its sense of identity without its founder. Possibly it is because I started Po Campo with a dear friend, and since it was “ours” it could never be “mine”, or “me”. Regardless of the reason why I never thought about how my personal values should be shared with my company, my new “flex time” policy showed me why it is important. Declaring that no one has to come in to work when they don’t want to as long as they get their work done was my biggest managerial statement to date. And experiencing the freedom of not having to come in to work every day is incredibly liberating and joyful to me. I finally saw for the first time just how cool Po Campo could be. Po Campo can become my dream company to work for, and for others who share a similar idea of how a dream company should behave. Sure, there are certainly other aspects of myself that the company has already assumed, like a persistent frugality, a certain mellowness, a respectful position towards others. But now I’m thinking of things that I always thought that we would do later when we had more time or money, like recycling or volunteer work or decorating, but now I am thinking we should just do it now. Those things are important to me, would be a part of my dream company, so what am I waiting for? I want to start working at my dream company today.